According to the State of Maine Dept. of Agriculture, Conservation and Forestry, destructive winter moths have been spotted in Maine. 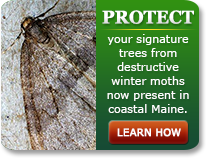 Winter moths are new in Maine, and could be devastating for our hardwood trees. Coastal areas, specifically Cape Elizabeth, Harpswell, Peaks Island, Scarborough, South Portland, Vinalhaven and York have been listed as high-risk areas. 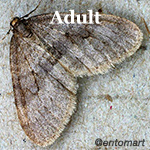 The winter moth, known scientifically as the Operophtera brumata is a small brown moth that can be seen (most commonly around outdoor light s and screen doors) in certain areas of New England during the months of November through January. The moths lay their eggs on hardwood and fruit trees, and later in the spring, their tiny larvae hatch and begin consuming leaves, fruit and buds, stunting early season growth. This repeated defoliation can kill a tree in less than two years, and make it far more vulnerable to other pests and disease. If you live in an area at-risk for winter moths, or you have seen them around your home call Lucas Tree Experts. Our residential tree services professionals will inspect and evaluate your property and develop a customized, proactive winter moth control program to protect your property and your signature trees from this highly destructive pest. 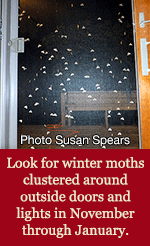 During the months of November through January, look for winter moths clustered around your screen doors and/or outside lights. In early spring, extremely small inchworms are very difficult to spot. They can sometimes be seen inside leaf clusters or on tree buds. 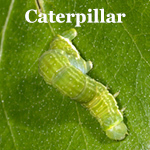 At night they can typically be seen crawling on the outside of leaves. In late spring and summer, look for skeletonized tree leaves, which often indicate an existing winter moth infestation. As always, if you are unsure whether or not you have a winter moth infestation, or are at risk to develop one, call Lucas Tree Experts toll free at 1-800-339-8873 today. Timing of winter moth control is very important, and is not recommended as a do-it-yourself project. 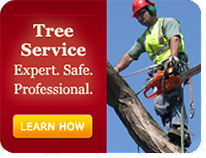 Lucas’ certified arborists are trained in professional winter moth control, and will work with you to develop a prevention and/or treatment plan specific to your property. Contact Lucas Tree today for more information or to get started.